Nvidia unveiled the GeForce RTX 20 Series of graphics cards nearly a month ago. Much of the focus has been on the GeForce RTX 2080 Ti, RTX 2080 as these are the flagship enthusiast and gamer products, and they are due to be released soonest, so it is good to see some more news concerning upcoming GeForce RTX 2070 designs. 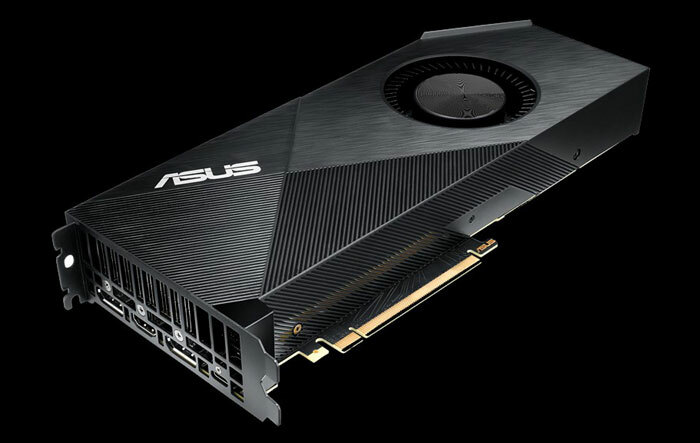 Yesterday Tom's Hardware shared details of seven new Nvidia GeForce RTX 2070 based products from Asus. It said these models had all been unveiled by Asus but failed to provide any link. After a quick search I found them on the Global site here (make sure you aren't redirected to a regional site), then click on the GeForce RTX 20 Series filter, then on the GeForce RTX 2070 filter. 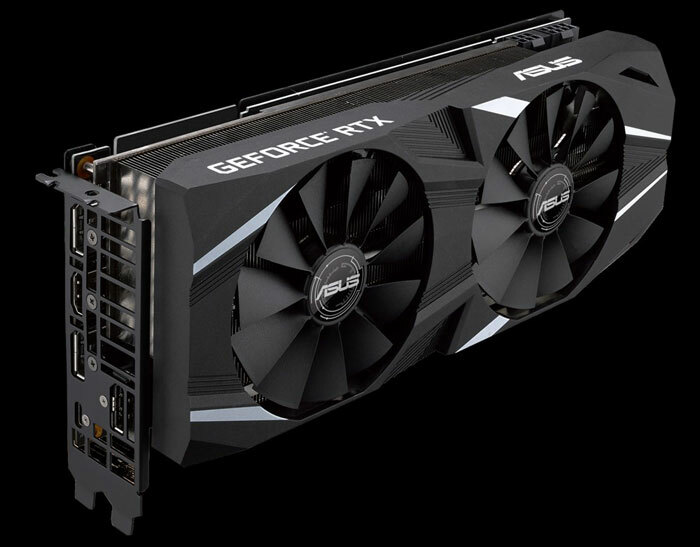 If you check through the respective specifications for these graphics cards, or use the compare function, you won't find out the GPU and memory clock speeds. These seem to be classified info at this time. Common to all these cards is the TU106 silicon with 2304 CUDA cores, 288 Tensor cores, 36 RT cores, plus 8GB of high-performance GDDR6 memory running at 14Gbps across a 256-bit memory interface. You can pick through the above links for more info about each graphics card but I've highlighted the main differences in the widths and connectors above. If you are interested in RGB LEDs then it looks like you will be selecting from the ROG Strix range. 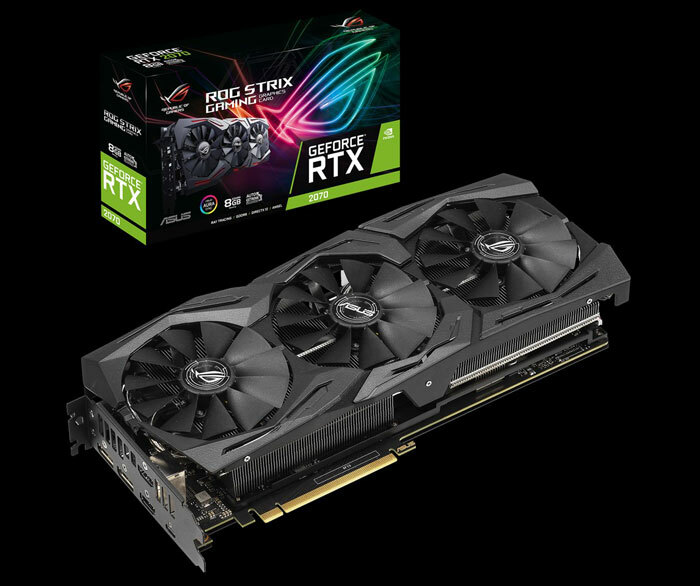 You might be wondering what differences the suffixes mean with regard to the DUAL and ROG Strix ranges. Each series contains an 8G, A8G and O8G model. Asus uses the O8G for overclocked models, the A8G suffix for 'Advanced Edition' cards which are slightly less overclocked, and the 8G suffix for the standard edition cards. Since clock speeds aren't shared at this time you can only look at past products to gauge what differences might be present. The Nvidia GeForce RTX 2070 range of graphics cards are expected to launch in late October. The Turbo model is hardly 2.7 slot thick. 7 cards for just the 2070 series, this is getting bloody stupid. So how much are these going to be?